So if Vimeo is your preferred site for watching and sharing video, you can now watch and share the 10 teaching videos, an introduction/trailer, and the blooper reel. Enjoy! And one of the great things about Vimeo is that in addition to being watchable and shareable, they are also downloadable from this site so you can take them places with no internet! Thank you again to Spencer Folmar of Third Brother Films for creating them and, especially, to CLC Publications for making these available free to the public! 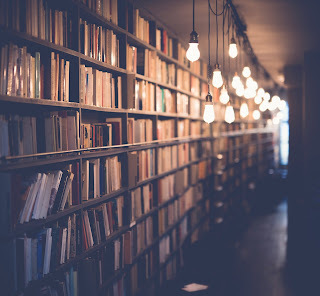 I have been truly blessed with a wealth of rich resources as I've studied Paul's letter to the Galatians this year for my sermon series, The Truth of the Gospel. Here is a list of some of the best of the best. Timothy George, Galatians (New American Commentaries, Vol #30, Broadman). George's commentary is readable, warm, pastoral, comprehensive, sharp. He has a deep understanding of the text but also of the history of interpretation of the text. A genuine pleasure to read. My favorite this year. A classic! Luther was a champion exegete and a strong preacher of God's Word. Moo's is the best commentary for laying out the various interpretative options at every point. More academic, not much application. Weirsbe's book is a good entry-level read for beginners. Schreiner's is the best commentary for understanding the structure and content, also has application. If I could only buy one for preaching, this is the one I'd probably get. As usual, Stott's writing is rich, sagacious, incisive, and concise! Stott knew the Word and had a wonderful way with words. Probably the best all-round commentary for laymen. 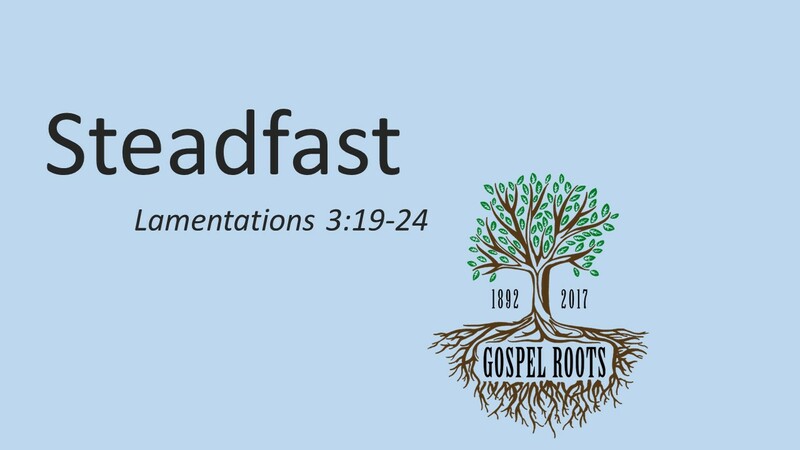 The Gospel Coalition 2017 Conference was on the Reformation; the plenaries were Galatians chapter by chapter. Listening to them pushed me over the edge in deciding to preach Galatians this year. Mitch Chase has been insightfully preaching through Galatians this Summer/Fall. Douglas Moo taught through Galatians in 8 very indepth lectures. I have listened to them all 3 times and some of them more than that. Moo was my constant earbud companion this year. Doug Moo has also recorded 15 lectures on Galatians for Biblical Training. I have not been able to listen to these yet. We’ve reached the closing paragraph in Paul’s letter to the churches in the region of Galatia. And he doesn’t just say “goodbye” like he normally does. He started this letter with a bang, and he ends it with a bang, as well. Our series is called “The Truth of the Gospel” because that’s what was at stake in Galatia. I hope that over the last fifteen messages in this series, we’ve all come to realize just how important it is to hold on to the gospel of grace alone through faith alone in Jesus Christ alone. No other gospel saves. No other gospel satisfies. No other gospel is true. But the Galatians had been tempted to believe a different gospel. False teachers had infiltrated their ranks and begun teaching that to be justified (to be declared righteous on the last day) a person must observe the Mosaic Law. And they taught this was true for Gentiles, not just Jews! Basically Gentiles must become Jews, the males through the mark of circumcision[! ], to be declared righteous before God. And that’s just not true! And Paul says that it is really no gospel at all. 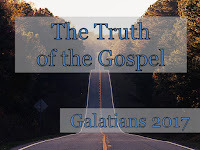 So for chapter after chapter in Galatians, Paul has been dismantling this false gospel, laying out the truth of the true gospel and its implications, and pleading with the Galatians to hold fast to the truth of the gospel. And as he writes his last paragraph, he’s still doing it. Paul carries this campaign to the very end of his letter. Because he does not want to fail. He does not want to lose them! 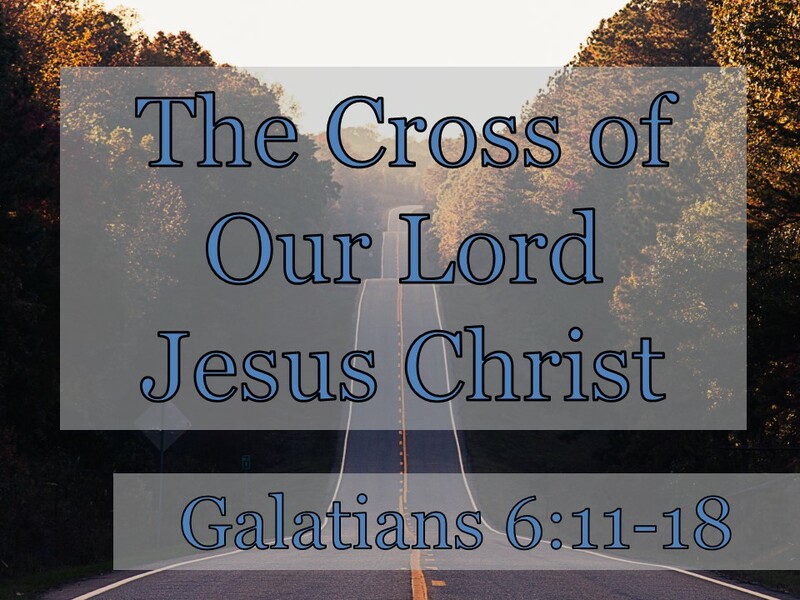 That’s our title for today, “The Cross of Our Lord Jesus Christ.” Paul mentions the cross in verse 12 and again in verse 14. And what he says about the Cross is of the utmost importance. Most of the time, Paul probably used a secretary, or the big word for it is an “amanuensis” that is that Paul would dictate his letters to a friend or teammate who would write it all down for him. And then he would sign it to authenticate it in his own hand. We see that in his other letters like Romans for example. Paul dictated Romans to an amanuensis named Tertius (Romans 16:22). But this letter, and I think what he’s saying is that this last paragraph is personally written down by Paul himself. He’s not just signing it. He’s writing out this last paragraph in great big letters. Well, it could be because his eyesight was failing. That could have been part of the illness that had laid him low and kept him in Galatia. But I think it’s because he really wants them to get this. He’s saying that he’s underlining this. He’s putting it in italics. He’s writing it in 88 point font! Listen up, people! Pay attention. Heed my words. This is important! And what is his last message? What does he want them to hear? The same thing he’s been saying all along. Don’t give in. Don’t back down from the truth of the gospel. Don’t fall into the trap laid by the false teachers. Let me put it this way in point number one of two. #1. DON’T MINIMIZE HIS CROSS. Don’t minimize the Cross of our Lord Jesus Christ. Paul is going to draw a stark contrast between the way of salvation that the agitators are proposing and the way of salvation that Paul had been showing them through the Cross of Christ. Why do they want that? They say that it’s for your good. They say that it’s for your salvation. They say that it’s what the Bible teaches. But Paul knows better. Paul knows what is behind this false teaching. He’s already said in this letter that’s also greed and pride. If you elevate the Law of Moses, then you won’t get into trouble. Sure. You can believe in Jesus if you want and you can even believe in his Cross if you are quiet about it. But don’t emphasize that! That will get you in trouble. Emphasize the Law of Moses. And you can fly under the radar of the leading Jews. Emphasize the Law of Moses. And you can fly under the radar of the ruling Romans. And be treated as just another Jew. Just get circumcised. Emphasize that. Don’t make such a big deal out of the Cross of Jesus Christ! Make a big deal out of the Law of Moses and how you are going to obey it. After all, it was given by God! But that’s the very thing that Paul says we must not do. Does that sound like he’s minimizing the Cross? What does the next verse say? Galatians 2:21? It’s just as important. That’s the point of this whole book. Don’t set aside the grace of God by trying to add anything else to it. Including even the Law God gave to Moses. And, of course, we still try to do this today. We humans are always trying to add to what Jesus did for us. We try to interject ourselves into the equation. “I’ve got to play my part in my salvation, right?! I mean, it was my sin. I’ve got to pay for that somehow, right? No. You don’t. You can’t. Those guys who are pressing for you Gentile Christians to get circumcised? They don’t even live up to what they preach. They don’t keep the law. Sinners can’t keep the Law in that way. He’s been saying that all along in this book. The Law can only get you condemned. It can’t save you. It never was meant to. They’re just a bunch of hypocrites. They just want to add you as another notch on their gunbelts. So they can boast. So they can brag that they won you over. So that they can count your foreskin on their pile. Don’t let them. Don’t give in to them. Don’t become one of them. Yes, it will be easier if you do. You will be able to fly under the radar. But it will be all wrong. You will get the glory that only Jesus should. Paul wouldn’t go there. Look at verse 14. #2. BOAST IN HIS CROSS! What a crazy statement Paul makes here. Think about what He’s saying. What a thing to glory in! The Greek root word for “boast” here is “kauchaomai.” And it means to boast about something, to take pride in something, to rejoice in something, to glory in something. To say something is the absolute best and to be so happy to be identified with it. We all glory like this. I think a good example is how many people feel about their sports teams. That’s a kind of kauchaomai. To love something and stand in it and be identified with it and rejoice in its strength. But Paul says that all of that counts for nothing. All of that should be, at best, a distant second place. So far back there you can’t even see it from here. And what should be in first place is the Cross of Our Lord Jesus Christ. Everything else should be minimized. Our ethnic or racial identities. Our family pride. I love being a Mitchell. It was great to be with Mitchells for Thanksgiving. But it’s nothing to boast in. Our national identity. I love being an American. But it’s nothing to boast about. Our personal abilities. Our strengths. How smart we are. How rich we are. How athletic we are. How popular we are. How many likes and shares and follows we have. How perfect our lawn is. How big our house is. Even how good we act. Especially how good we act! We don’t boast in our goodness. Our good behavior. That we do the right things. So much moral preening and virtue signaling. No. If we boast, we boast in the Cross of our Lord Jesus Christ. Which destroys all of our other boasts. Remember what Dave Catanzaro preached back in February? Ephesians 2:8&9. God has set up salvation in such a way that He is the only One that gets to boast. He is the One who has done all of the work and gets all of the glory. And if we boast, and we glory, and it’s only in Him. And what His Son did for us. Boast in the Cross of our Lord Jesus Christ! That’s why we sing about it every single Sunday here. That’s why we come back to the Cross in every single sermon. That’s why we celebrate the Lord’s Supper every month like we’ll do next week. That’s why we talk about the Cross so much. Because it’s our only boast. Do you boast in His Cross? Is His Cross the only thing that you are trusting in, hoping in, rejoicing in? I think we are tempted to boast in so many other things. And we’re tempted to give a nod to the Cross but to find our identity and strength in just about any other place. I mean, who wants to boast in the suffering death of Jesus? The Cross looks like weakness, shame, disgrace, and pain. But it was that weakness, shame, disgrace, and pain that saved us. He took on the punishment that we deserved. Our sins they are many, but His mercy is more. That’s where we got that mercy! Because His Cross changes everything. Look at that last phrase in verse 14 once again. When Jesus was crucified, we were crucified to the world. And the world was crucified to us. There was a fundamental change in our relationship to the world. Now the world does not have a controlling influence over us. The world’s approval and attraction are broken for us. The world has no controlling power over us any longer. We are crucified to the world and the world to us. We are no longer friends with the world. His Cross has made us enemies with the world. So when we boast in the Cross, we should expect opposition from the world. And we shouldn’t chase after the world any longer. We shouldn’t care what they think, what they feel, what they are going to do to us as long as we are following Jesus. We are dead to the world. And the world is dead to us. Now, of course, we are also supposed to love the world like Jesus loved the world. We want those in the world to repent of being in the world and join us boasting in the Cross. And we’re dead to that. We boast in the Cross. We don’t boast in our flesh but in His flesh broken for us. That’s the point of verse 15. It’s not whether or not we are circumcised that counts. What counts is if we are changed by the Cross. Notice he says that it’s not circumcision (which we would expect) non uncircumcision. We aren’t supposed to boast in the fact that we know better than getting circumcised. There is nothing wrong with circumcision if you do it for the right reasons! Ethnic reasons. Traditional reasons. Medical reasons. We boast only in the Cross of our Lord Jesus Christ. I hope it reminds you of 2 Corinthians 5:17. If you are in Christ Jesus and trusting in what He did on the Cross, you are a new creation. And you are a part of the whole new creation that is going to come. Are you trusting in Christ alone? What counts is being transformed by Jesus Christ. What counts is being a new person because He was crucified for you and me. 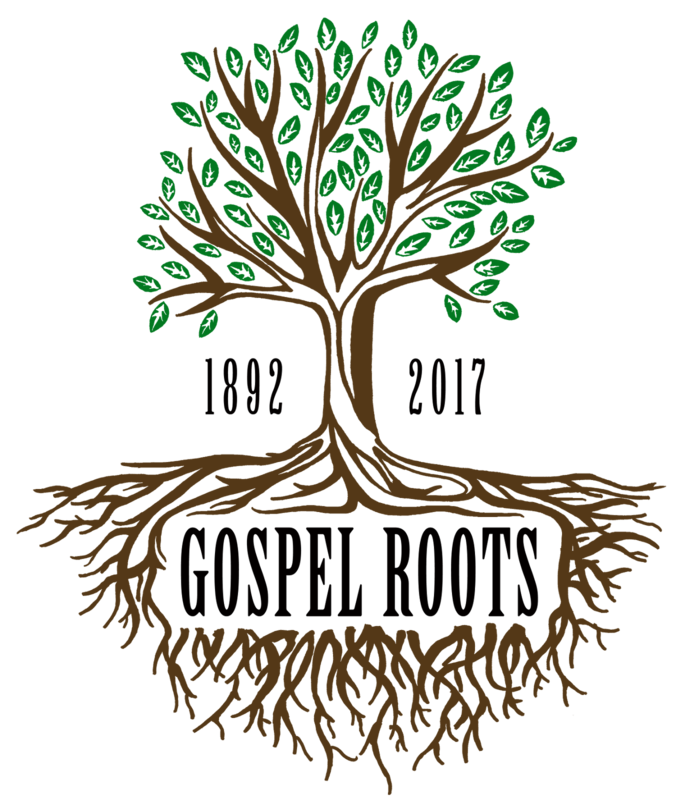 What counts is being part of the firstfruits of the world to come. Not whether or not you are circumcised. Because His Cross changes everything. Or I think it’s a bit more likely that he means that these people who believe in and boast in His Cross are the true Israel of God. They aren’t just Israel in the flesh, they are Israel at heart. They are what Israel was always supposed to be. Like the “Jerusalem above” in Galatians 4:26. Either way, Paul is saying that this is where peace and mercy come from. They flow from the Cross of our Lord Jesus Christ. And only from the Cross of our Lord Jesus Christ. Let us boast in Him. Even though it will cost us in the short run. It sure cost Paul something. Look at verse 17. Paul was pretty banged up from being persecuted. The false teachers wanted to avoid persecution for the Cross of Christ (v.12), but Paul did not avoid it. He walked right into it. And he limped right out of it. Paul never stopped boasting in the Cross of our Lord Jesus Christ, and he paid for it dearly. In a later letter, Paul would describe how he got these marks. Read 2 Corinthians 11:23-29 this afternoon and see what he went through. Paul was stoned not far from Galatia. I don’t mean he took drugs. He had rocks thrown at him. He was drug outside the city, and they thought he was dead. What must have he have looked like after that? “Don’t give me a hard time,” he says. I’ve put my skin in this game. I’m branded as a slave of Christ Jesus. I didn’t duck the persecution. I took what comes when you boast in the Cross of our Lord Jesus Christ. Boast in Him and His Cross. Even if it costs you your life! Grace! That’s been the theme of this whole book. And grace and peace have been his prayer for them from the beginning. From “our Lord Jesus Christ,” flowing from His Cross. May that grace be with your spirit. May you take that to heart. May grace be the theme of your life. Grace alone through faith alone in Christ alone. He still believes they won’t give in to this false teaching. 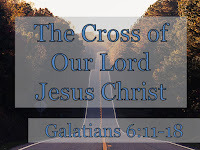 He still calls the Galatians “brothers.” Paul believes that they will hear the truth of the gospel and reject the false gospel and glory and boast the Cross of our Lord Jesus Christ alone. Good news! The videos we created a few years ago to go with Resisting Gossip Together have now been uploaded to my YouTube channel and arranged into a playlist. Anyone anywhere with YouTube can now watch and share the 10 teaching videos, an introduction/trailer, and the blooper reel. Enjoy! Thank you to Spencer Folmar of Third Brother Films for creating them and, especially, to CLC Publications for making these available free to the public! Surprise, surprise! We are not going to finish the book of Galatians today. We were on a roll there, and we only have one more message to go, but I’m going to save that for next Sunday. 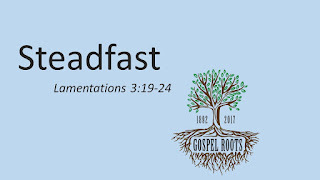 Because we have two more messages to go in our Gospel Roots series, and the one I have planned for November fits just perfectly with the Thanksgiving holiday and the theme of our worship service this morning. And I can sum it up with one word: STEADFAST. That word keeps bubbling up in my mind the last several months. Steadfast. Our God is faithful. Our God is trustworthy. Our God is dependable, reliable, and always true. Our God is steadfast and so is His love. And we are called to be steadfast, too. Because He is steadfast, we are called to be steadfast, as well. Standing firm. Immovable. Unflinching. Persistent. Persevering. Even when times are tough. Or, especially when times are tough. What I want to focus on today from our church’s history is that this church has a track record of being steadfast and trusting in the steadfast love of the Lord through difficult times, through times of trial and testing and trouble. Has this church seen times of trouble? We are 125 years old! And that means this church family has weathered all kinds of storms. Think about what the world has gone through in those 125 years! World Wars. Cold Wars. Earthquakes. Famines. Fast-spreading diseases. Think about what our nation has gone through in those 125 years. How many ups and downs and trouble on every side. So of course, our little church has seen its fair share of trouble. Just read through the history book that we just reissued last month. Read the lines and read between the lines, and you’ll pick up on the hardships and the heartaches and the grief that our church family has experienced through twelve and half decades. I don’t know about you, but that makes me think of the deaths of Bea Johnson and Blair Murray. Lita wrote about them on pages 32 and 33 of the new book. It isn’t the same around here without them. And it isn’t the same without hundreds and hundreds of others of our loved ones who have passed during these 125 years. There have been other troubles. There have been financial troubles. There was a time when we didn’t have the funds to continue supporting our missionaries at the level we had planned to. There were times of conflict and division in the church family. Some of you lived through those times, and it hurts just to think about it today. And every family here has experienced trouble yourself. And that’s encouraging to me that He said that because we see it all the time! We see trouble. The Bible says, “Man is born to trouble as surely as sparks fly upward!” (Job 5:7). What trouble have you seen? Losing a home? I remember when Keith and Pennie’s house burned down. February 2001. I’ve stood at a lot of your bedsides in hospitals and besides caskets in funeral homes. You’ve stood beside our family when we’ve seen trouble. When we lost our first child, Charis Mitchell in April 1999. When Heather lost her mom to cancer in 2010. When our daughter Robin was diagnosed with Celiac disease in 2014. When Heather was diagnosed with fibromyalgia in 2016. When I had to have surgery for a perforated bowel and I was out of the pulpit for 6 weeks in 2015. You’ve been steadfast by our side when we’ve seen trouble. The fact is that trouble is normal. For some reason we’re always surprised by it, but trouble is actually normal in this cursed world that we currently live in. Ever since the Fall, trouble is normal. Suffering can be so bewildering, so confusing, that unless we are prepared in advance for it, we won’t know how to respond to it. Unless we’ve got a great, functional, practical theology of suffering before it comes, the chances are that we will buckle under it and flail around not knowing what to do. The prophet Jeremiah knew all about trouble. The prophet Jeremiah lived through the exile of Judah and the destruction of Jerusalem. In the year 586 BC, God brought judgment upon the nation of Judah. He had promised exile and warned of judgment for hundreds of years. And Judah had, by and large, ignored those warnings. We were studying this just a year ago when we came to the end of the Books of Kings. In 586 BC, God kept His promise to bring disaster on His rebellious people. The King of Babylon, Nebuchadnezzar, sacked and destroyed the city of Jerusalem. And Jeremiah, the prophet, was there. He saw it with his own eyes. And his eyes were full of tears. Jeremiah is called the “weeping prophet” because even though he had to faithfully deliver a message of woe to the people, he didn’t have to like it. His message was, by and large, a message of doom, condemnation, and judgment. And it caused him to weep. The worst thing that he could imagine was the destruction of his beloved city–Jerusalem. The capital of the nation. The headquarters of the homeland. The jewel, the apple of the Israelite’s eye. The location of the temple. The city that stood for the people. When Jerusalem went, so did the people. Every few years, I like to take us back to Lamentations. I invite you to turn there with me. It’s a little hard to find. If you open your Bible to the middle, you’ll find the Psalms. Lamentations is to the right. If you have found Isaiah keep going to the right. Jeremiah, and then Lamentations, right before Ezekiel. And turn to chapter 3. Today, we’re just going to read the most famous verses in the book of Lamentations. We sing the words of these few verses all the time. We already have and we’re going to again this morning. They are very familiar. But they are tucked into the very middle of one of the saddest books in the whole Bible. I mean, the name of the book is Lament. Which basically means to be sad. “Sad-Thoughts” is the name of the book. Lamentations. And that’s great. 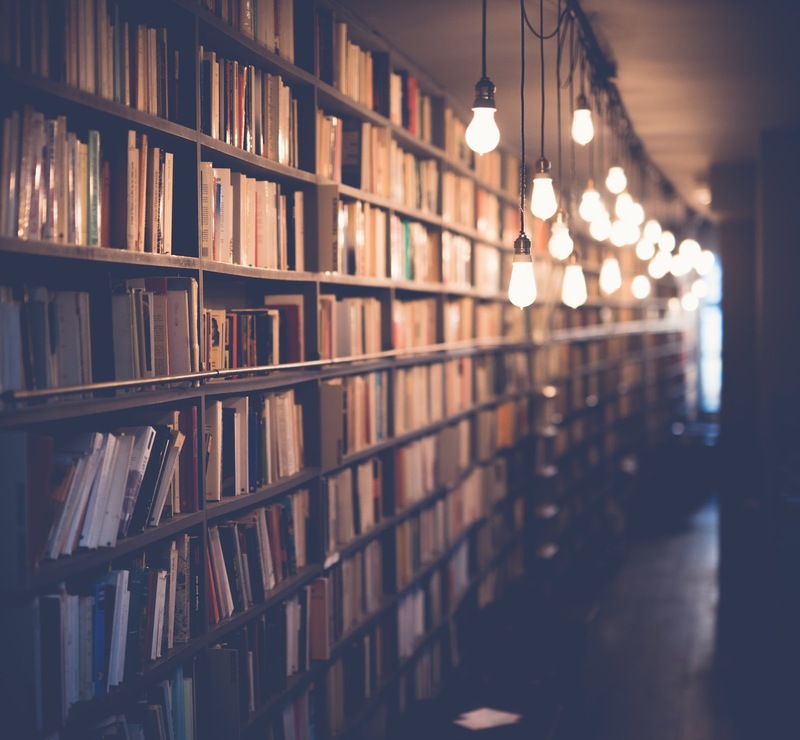 We need books like Lamentations. I’m becoming more and more enamored and interested in the idea of lament in our Bibles. Because life is not always happy! It’s not always smooth. It’s not always pleasant. In fact, it’s full of trouble. That’s why we need books like Lamentations. One of the most amazing things about Lamentations is how it is structured. 4 of the 5 chapters of Lamentations are acrostic poems. Do you know what an acrostic is? It’s like every sentence starts with a different letter of the alphabet in order. Like the first line starts with A and the second line with B and so on. That’s something that the Hebrew poets loved to do. Psalm 119 is like that. And Proverbs 31 is like that. But Lamentations is even more carefully structured! Here in chapter 3, which we’re going to look at closely, each stanza (like a paragraph in poetry) begins with the next letter of the Hebrew Alphabet (Aleph, Beth, Gimel, Dalet, etc) and each sentence within that stanza also begins with that same letter. You know why? Because it says that there is a lot of thought that has gone into this expression of sad thoughts, of bad feelings, of lamentations. Jeremiah (who I believe wrote this book) put meticulous thought into how to express his grief and sorrow and pain over what had happened to him and his beloved city. And he shows us how to be sad. He shows us how to suffer. How to practice the lost art of lament. I’ve promised it before and I’ll promise it again–someday, we’ll do the whole book together, and we’ll learn a lot of different principles about responding to suffering. Today, we’ll see just a few, perhaps the brightest. Today, we’re going to read verses 19 through 24 of chapter 3. You’re already singing it in your head, aren’t you? “Great Is Your Faithfulness.” Right there in verse 23. Trouble may be normal, but God is steadfast. Our Lord is steadfast, and so is His love. I love that those precious words come out of this passage of Scripture. A passage about Sad Feelings. A passage about suffering and lamentation and being downcast. And right smack in the middle of that is this reminder that God is steadfast. #1. WHEN IT DOESN’T FEEL LIKE IT. Jeremiah tells God that His faithfulness is great at a time when he doesn’t really feel it. Things are not going well. The worst thing that he could imagine has happened. The threats are over and so is Jerusalem. And it stinks. It hurts. It’s painful. It’s terrible. It’s suffering. I love the realism of the Bible. The Bible is not sugar coated. It is not fake in the slightest. There is no sense that if you come to Jesus then your life will be a bed of roses. You will be healthy, wealthy, and well-liked. Smiling all of the time. Knowing God means an easy road from here on out. The Bible paints a realistic picture of life which includes suffering and sadness and trouble. And it even gives us patterns to follow when those times of suffering and sadness come. Divine patterns. I love that about the Bible! It doesn’t always feel like God’s faithfulness is great. That God is steadfast. Sometimes our minds are full of affliction, wandering, bitterness, and gall. Sometimes our souls are downcast within us. We should tell God about it. We can pray about that. And pray like that. Honestly. He loves our honest hearts. We can write it down in a song. We can think long and hard about it. We can express our lamentations in the right way to the Lord. We don’t have to pretend that everything is fine and dandy. It doesn’t always feel like God’s faithfulness is great. Things are not always as they feel. In fact, they often are not as they seem. Verse 21 is a turning point. That “yet” in verse 21 says so much! Even when it doesn’t feel like it. Maybe right now it doesn’t feel like it for you. Maybe you’re in a dark night of the soul. Maybe you’re hurting. Maybe God seems distant. Maybe you’re very disappointed, confused, bewildered, sad. I’ll tell you, it didn’t always feel like it. There have been some dark times for this church. Some of you have particular days that you remember when something hard happened here, and it makes you wince every time that day rolls around again on the calendar. But here you are being steadfast and sticking to it. Because you know that even in those moments, the Lord was steadfast. The Lord has been steadfast for every one of those 125 years. Every day of those 125 years. God is steadfast. #2. EVERY SINGLE DAY. V.21 again. The word for “great love” there in verse 22 is “hesed.” It’s the word for God’s covenant love. His unfailing love. His love that is promised to His people and can be counted upon no matter what. Steadfast love. It doesn’t get better than that!!! His compassions, His mercies, never fail. God doesn’t get up some days on the wrong side of the bed. Aren’t you glad that you and I aren’t God? Somedays we just get up and there’d be hell to pay. “I don’t feel like being compassionate to those people of mine. They are sinners, they fail, they’re lazy, they don’t meet up with expectations. They are slackers! That’s not the LORD. His compassions for His people never fail. I love the word picture of verse 23. Everyone does. With the dawn comes a new wave of God’s mercy. One of the things that my wise wife often says is that we need to look each morning for new mercies. Yesterday's mercies are yesterday. And God has promised new mercies every morning. So we have to go looking for them. We know they are there. We can count on them. Let’s keep an eye out for them. Bob & Sylvia Gisewhite have a plaque on the wall at their house. “His compassions never fail. They are new every morning.” Look for them. What does it mean for God to be faithful? It means that He always keeps His promises. Whatever He has said, He will do. We’ve learned that it may not be on our time-table. It may not even look like what we expected. But none of His promises fall to the ground. None of His promises ever fail. He is perfectly faithful with a steadfast love for His people. Okay, so what should we do about that today? What should we do about that this Thanksgiving season? How do we live differently because we’ve read these few verses together? You know, it doesn’t necessarily change how we feel. Jeremiah has two and half more chapters of lamentation to go! You and I might have a lot more sad feelings to feel and to express. What difference does it make that God is faithful? That God’s love is steadfast? What should we do? The same thing we’ve been doing for 125 years. Trust Him! #1. SAY THIS TO HIM. Notice that phrase is a prayer in verse 23. He doesn’t just say, “God is faithful. God’s faithfulness is great.” That’s true. He says it to the LORD Himself. It makes it seem a lot more real when you talk to Him. Say that to Him when you are suffering. And you will find that God’s compassions are right there with you. Declare to the Lord that you believe that His mercies are new every morning and that you’re going to look for them. And you will find them. I heard one of you pray like that just this week. And she just talks to the Lord and tells Him that He is steadfast. But don’t just tell Him. Tell yourself that. #2. SAY THIS TO YOURSELF. Did you catch how Jeremiah is preaching to his own heart, his own soul? Jeremiah doesn’t just pray these words, he reminds himself of the truth of God’s faithfulness. He tells himself that the LORD is his “portion” – his lot, his treasure, his only comfort in life and death, his satisfaction, his portion. Jeremiah reminds himself that God has great steadfast love and great faithfulness and that it is worth it to endure the suffering (which will last for moment) because joy will last forever. Hope in him. All too often we listen to ourselves instead of speaking to ourselves. Often we listen to our feelings, and we don’t talk back to them. But our feelings can be deceived. Just like we said last week. We need to speak to our hearts and remind them of what is true. And that’s the last one. Last application. #3. SAY THIS TO OTHERS. Jeremiah wrote this poem to be read by others. To be (in some cases) sung by others. It’s not a fun song. It’s not a popcorn and candy song that’s a blast to sing. But we need songs like this. We need dirges. We need laments. Because life hurts! But most of the time, we need our sad songs to have this embedded in their middle. Hope in the Lord! Because His faithful. We know this now even more than Jeremiah did. Jeremiah didn’t know about the Suffering Servant. Jeremiah didn’t know what we know about the Messiah. Jesus was a man of sorrows and familiar with suffering. If anyone knew about being sad, it was Jesus. If anyone ever trouble, it was Jesus. Jesus felt like Lamentations in the Garden of Gethsemane and on the Cross of Calvary. It’s because Jesus was the very embodiment of the steadfast love of the Lord. Jesus’ death and resurrection was God keeping His promises. And they keep us from being consumed by our sin. And we need to tell other people just how great He really is. He’s too good to keep to ourselves. I pulled this off the wall again for today because I think it perfectly illustrates the message. Things were tough. This church had experienced trouble. We had dwindled to just seven members. Those seven members contributed only 75 dollars a month toward the pastor’s salary. And their district conference said that they had no extra funds to help out at this time. Should they close their doors or continue on? And it lists the seven steadfast re-founders of our church. They didn’t pretend that everything was hunky dory. But they didn’t back down either. They cried out to the Lord and they put their faith in His steadfast love. 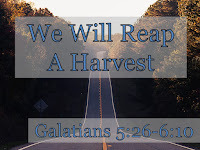 [Matt's Messages] "We Will Reap a Harvest"
Due to guest preachers and Reformation Sunday, it’s been a whole month since we were in Galatians together, so you might not even remember that we’ve been studying Galatians together since the month of May. This is our fourteenth message in Galatians, and I am projecting only one more after this to finish the book this month. I promised to finish it this year; I plan to finish it this month. 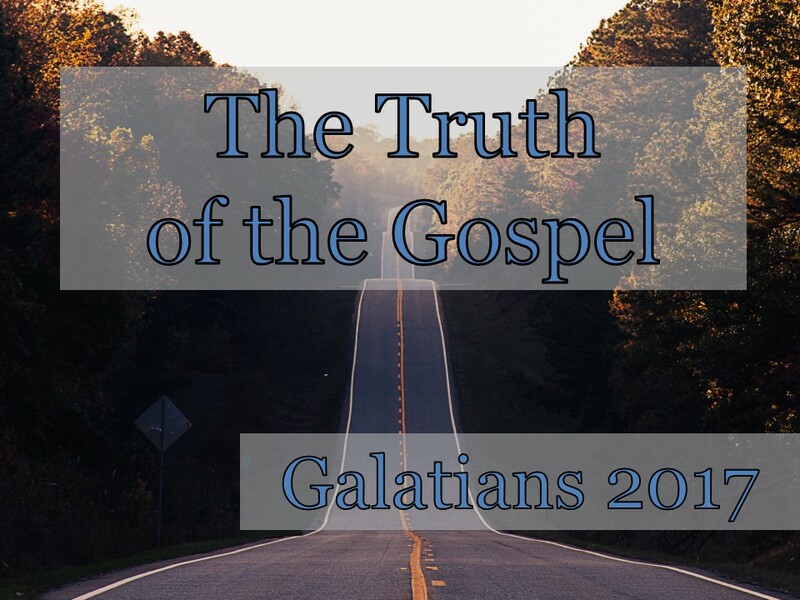 Our series is called “The Truth of the Gospel” because that’s what was at stake in Galatia. The churches that Paul had planted and loved so much had been infiltrated by false teachers who were insisting that the Christians in the region of Galatia take on obedience to the Mosaic Law to be justified before God on the last day and to show their reliance on keeping the Law by having all of the men circumcised. And Paul was astonished and perplexed because it looked like the Galatian churches just might tragically abandon the truth of the gospel of grace alone through faith alone in Christ alone. So Paul wrote this letter to try to rescue them from losing the truth of the gospel and everything that comes with it. Now, we’ve reached the end of the letter where Paul has been laying out the practical implications of the gospel of grace. The Galatians were to embrace their freedom and embrace their identity as sons and heirs of God. And they were not go back to slavery but instead to live out of their freedom. And to live in love and to live by the Spirit. Last time, we read that we are to keep in step with the Spirit. To walk by the Spirit, to be led by the Spirit, to allow the Spirit to produce His fruit in us, and to keep in step with the Spirit. Well, that’s what he gets into today. Paul didn’t write any big chapter numbers in his letter. 5:25 is immediately followed by 5:26 and 6:1 and so on, in the original! So that’s what we’re going to read now: 5:26 through 6:10. But I want to start today with verse 9. Chapter 6, verse 9 is one of my favorite Scripture passages, and it’s also our new Hide the Word verse for the remainder of 2017. We’ve been on Galatians 2:20 for some time, and I think we’ve got it down. So now we’re going to do Galatians 6:9, and it has such a wonderful promise in it. What a great thing to memorize! What a wonderful promise! That promise is the title of today’s message. This is the right time of year to talk about harvesting. This is harvest season when the farmers reap the crop that they have been so painstakingly caring for all year long. It’s the time for the return on their investment. And we sing about it this month. A lot of the songs we sing for Thanksgiving have a harvest theme, because it’s that time of the year, and we’re thanking God for what He has provided for us in the harvest. This harvest in verse 9 is probably not about crops like corn, wheat, and beans. At least, not primarily. It’s primarily a spiritual harvest. And it’s the blessings that come in eternal life, the blessings of holiness, the blessings of knowing God, the blessings of all of the good gifts that the Lord of the harvest has promised to His faithful children. Some of those blessings will be seen now in part. Maybe even in corn, wheat, and beans. But most of these blessings will come in full in the future. In the age to come. We will reap a harvest. That’s the promise of God. ...if we don’t give up. Did you notice that in verse 9? Verse 9 has a wonderful promise, but has a condition. It has a condition that is a calling. It’s a calling to faithfulness. To continue believing and to continue obeying. Let’s not grow too tired to go on. Of course, the Galatians were tempted to give up the gospel. They were tempted to believe a false gospel, another gospel which is really no gospel at all. But they were also tempted to give up doing good. They were tempted to stop doing good works. They were tempted to stop loving the people around them. That’s easy to do, isn’t it? To get tired of doing good? To want to just throw in the towel and stop loving the hard-to-love people around you? That has happened to me at times. Let me tell you why this verse is so precious to me. A few years ago, I grew weary of doing good as a pastor. I just got tired of doing what was right in a few relationships that were difficult around here. And I just avoided them. I didn’t stop doing my job, but I stopped doing that part of my job. I took every excuse. It took me several months, almost a year, to apologize to everyone on that list. But by God’s grace, I did. And I felt an incredible freedom. Are you tempted to give up? That means waiting. That means being patient. That means we sow now and we reap later. You can’t say, “You know, I want to have an apple this afternoon. I should get out there and plant an apple seed this morning.” It doesn’t work that. There is sowing now and reaping later. So we’ve got to wait. And we can’t give up while we wait. We’ve got to hold on for the harvest. Are you tempted to give up? There are a lot of reasons to feel like throwing in the towel. I don’t have to list them to you. You feel them already. Now, what is it we’re supposed not give up doing? V.9 again. #2. DO GOOD. Look at verse 10. Because we will reap a harvest, we’re supposed to not give up doing good works, doing things that will serve others–doing good to all people but especially the church, the family of believers. I think that’s what Paul is talking about in this whole section Galatians 5:26 through 6:10. It’s all about the good we’re supposed to do to each other. Especially to one another in the church. That’s the opposite of doing good. Paul is going to toggle back and forth between what not to do and what to do to love others. He starts with the negative. Don’t get into competition with others. This is what you might call the sin of comparison. It’s thinking so much of yourself that you can only think about others as they compare to you. That is not doing good to all people. Doing good to someone who has found themselves trapped in a sin, means restoring them gently. Now, that is not easy to do. For one thing, most people who are trapped in a sin don’t want to be restored. They want to be left alone with their trap. So it require a loving rebuke. And that’s hard to do gently! So you can see why Paul says that we should not grow weary in doing good. This is hard work! But it’s a good work. I know that right now, while I’m sane, I want someone to love me enough to step into my life if I get caught in a besetting sin and try to restore me. Gently. They help each other to get out of their sinful traps. Do you see how is supposed to do that work in verse 1? Is that a special class of Christians? They “spiritual” Christians? I don’t think so. I think it just means the true Christians, you know, the ones who hav the Spirit. The ones who are led by the Spirit and walk by the Spirit, and are producing the fruit of the Spirit and are keeping in the step with the Spirit. Those are the ones who love others enough to do them good by confronting and forgiving and restoring those who have been caught in a sin. But see the warning in the second half of verse 1? You might have the same temptation that your sinning friend had fallen into. Or you might be tempted to pride, tempted to think that because you are helping him, that you’re really something and you’re immune to these sins of lesser mortals. That’s what it means to do good to the family of believers. It means to carry each other’s burdens. I heard Tim Keller talk about this verse. He said that it’s like helping somebody move furniture. If the chest of drawers weighs 200 pounds, you can’t carry it yourself. But if two guys grab it. Then you’re both only carrying 100 pounds. And if four guys do it, you only have to lift 50 pounds each. What I think is interesting is that this verse makes it clear that we all have burdens. We’ve all got heavy stuff in our lives. And we’re not supposed to carry them all by ourselves! We’re supposed to share our loads with another. I help you. And you help me. That’s one of the reasons why we have the church! Isn’t that interesting? The Galatians were so concerned about obeying the Law. Or at least the false teachers wanted them to be. How are you doing at carry the burdens of others? Not just saying that you’re going to, but actually praying for them? Are you helping people out, the people around you? Unless this is your first Sunday with us, everybody in this room should have relationships with other people in this room and should know some of each others’ burdens and be doing something to help each other carry them. That’s what we’re supposed to be doing. It’s going to look different for different. Different for everybody. But that’s what church is supposed to be. The deaconnesses are helping us with that. But they don’t do it all for us. We all do it for each other. #3. KEEP AN EYE ON YOURSELF. Paul is telling us to examine ourselves. Watch out for that attitude. Test yourself! Now, I don’t think he means that you should expect to boast in your own actions on your own merits. That would be antithetical to everything he teaches in the rest of this letter and all of his other letters! I think he’s basically just saying, that you should keep a critical eye on yourself instead of a critical eye on everybody else (which is what comes naturally!) and if you can honestly say that your motivations come from faith and love, then you can be boast that God has done His work in you on the Day of Christ Jesus. And it’s not what someone else has done, but what God has done in you. Now, that’s interesting because it sounds like the opposite of verse 2 that we help each other carry their loads. I think it’s different kinds of loads. V.2 is a “burden” like a heavy thing, a trial. I think verse 5 a “load” like a responsibility, a calling. Verse 5 means that we don’t pass the buck. We take responsibility for the things God has called us to do. That doesn’t mean we don’t expect help. Verse 2 tells us that we’ll need it! But it does mean that we don’t blame everybody else for our failures. Everybody needs to carry our own load in Christianity. And of course, that’s by faith, as well. We don’t carry our own load in our own power, either. But we do keep an eye on ourselves. We need to have a basic distrust of our natural motives and inclinations. But the Bible says that’s dangerous advice. We need to keep a weather eye on our own hearts and desires. Isn’t that interesting? This whole passage is about doing good to others and being gentle with them. But it’s also about being critical of ourselves and not going easy on our own sin. 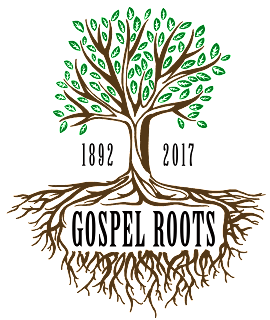 Helping others but distrusting ourselves. For me, sometimes I’m good at that. But often I’m not. I let my guard down and I give myself little passes. And the next thing you know, I’m off course. And I’m following my own self desires and I think I’m better than others. And I’m concerned that I’m worse than others and I’m jealous of them for it! And I need to take a good hard look at myself. This is also about doing good. I think this is basically the call to pay your pastor, and this church is really good at that. Thank you! Do you feel the warning? You see how strong that is? It’s a basic law of the universe, you don’t get away with anything. God has built the principle of actions and consequences into the fabric of the universe. This is not karma. It is God’s sowing and reaping principle. Two kinds of people. Two kinds of sowing. Two kinds of reaping. Those who sow [literally] “into the flesh” like the sinful nature is the field, will reap destruction (or corruption). That’s what will happen to unbelievers. To those who do not put their faith in and follow the Lord Jesus Christ. But those who sow “into the Spirit” like the Holy Spirit is the field, will reap eternal life from that Spirit! That’s what happens to those genuine believers who walk by the Spirit, are led by the Spirit, allow the Spirit to produce His fruit in them, and keep in step with the Spirit. They sow to the Spirit and they reap eternal life. 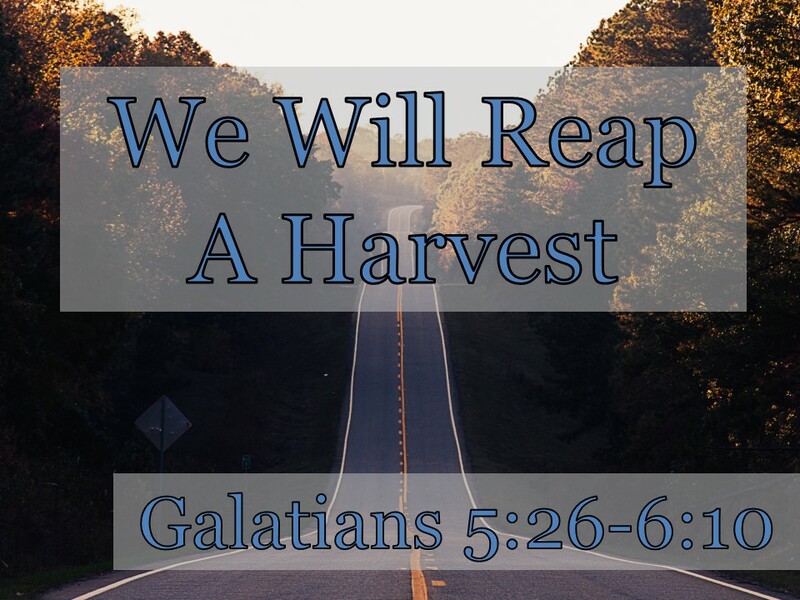 We will reap a harvest! And keep an eye on yourself. Don’t sow to the flesh. Don’t just listen to your own heart and your desires. They are often fallen and fleshly. And the end of that road is destruction. Put all of your energy into doing what He wants and what brings glory to Jesus Christ. Do good to all people. Even children far away that will open up a Shoebox full of your love. And do good to the people right here close to you. Right here in this room. Be the church to each other. Restoring each other gently. Carrying each others burdens. Looking out for each other’s welfare. And don’t stop until you see your Savior’s face. Until He brings the all of the blessings that He has so faithfully promised. Because we will reap a harvest! In March of 2013 (a few months before the publication of Resisting Gossip: Winning the War of the Wagging Tongue), I test-drove some of the material for the students at the Miracle Mountain Ranch School of Discipleship. The videos were recorded and 10 snippets have been published on YouTube as a playlist. It's fun to see how the seminar has changed yet stayed the same all these years. 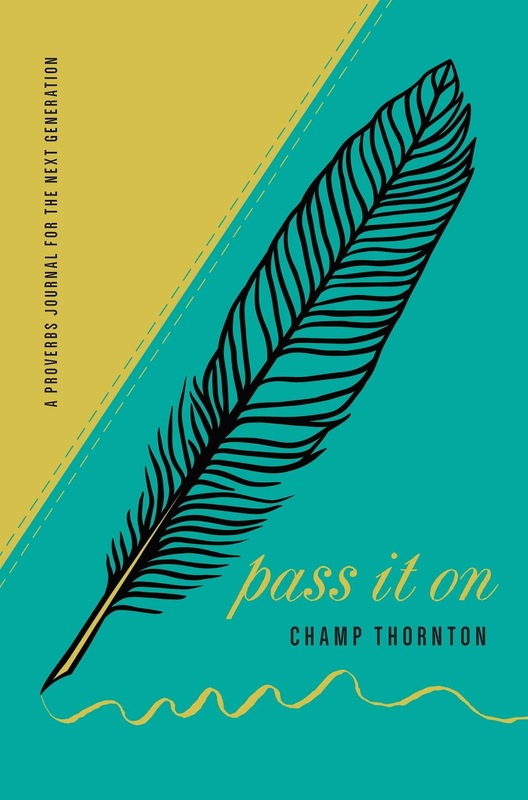 Congratulations, Marguerite, on winning a copy of Pass It On by Champ Thornton. Send me your address so that the generous folks at New Growth Press can send you your free book. Thank you, everyone who participated! If you want to buy your own copy, visit Amazon, New Growth Press, Westminster Bookstore or any other book retailer today. Cedarville Comedy with a funny/notfunny sketch on how gossip often slips and falls into our prayer requests.